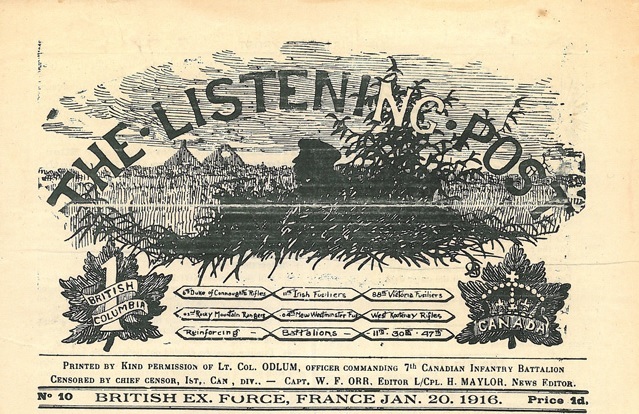 The Listening Post, No. 10 Jan. 20, 1916. [France: 7th Canadian Infantry Battalion 1915-1919]. Leader image. Collections CCGW/CCGG. We’re proud to announce the launch of the Centre’s first exhibition of 2016, “News from the Frontlines: Canadian Trench Newspapers 1915-1919”. Visit the exhibition online here, or in person at the Centre until May 2016. We’re looking forward to seeing you!